1. What are the best known representatives of the Platyhelminth phylum? The most well-known representatives of platyhelminthes are worms that cause human diseases, such as taenia and schistosome. Planaria, since it has been extensively studied in Biology, is also well-known. 2. What is the main external morphological feature that differentiates platyhelminthes from other worms (nematodes)? Platyhelminthes are also known as flatworms because they are worms with a flat body. This is the main external morphological feature that differentiates them from nematodes (roundworms). 3. How many germ layers make up the body of platyhelminthes? How are they classified according to this feature? Platyhelminthes are the first triploblastic animals (remember that cnidarians are diploblastic), meaning that they contain three germ layers: the ectoderm, mesoderm and endoderm. 4. What are the types of digestion and digestive system of platyhelminthes? Flatworms have incomplete digestive systems and use extracellular and intracellular complementary digestion. 5. How are nutrients distributed by the digestive system in planaria? Planaria have a single-opening digestive system (incomplete) with branches that transport nutrients to all parts of the body. 6. How is gas exchange carried out in flatworms? Platyhelminthes exchange gases exclusively by diffusion through their body surface. This is only possible because all cells are located relatively near their exterior, since gases diffuse cell by cell (the flat shape of these worms is a feature that allows this type of respiration). 7. Poriferans and cnidarians do not have excretory systems. Do platyhelminthes have an excretory system? Platyhelminthes have a primitive excretory system made of flame cells (also called solenocytes), excretory ducts and excretory pores. 8. What is an example of a freshwater flatworm? What physiological problem must these animals solve when living in that environment? Freshwater platyhelminthes, such as planaria, have an internal environment much more concentrated in solutes than their exterior environment and, as a result, have a tendency to gain water. These organisms then need a drainage system to avoid cell death caused by excessive water. This problem is solved by the presence of protonephridia located along longitudinal channels in their body. Protonephridia have ciliated cells, which are called flame cells, that push water outside the body through excretory pores. 9. Is the nervous system of platyhelminthes more or less sophisticated than that of cnidarians? What are the main neural structures found in flatworms? How is this neural organization important for the diversity of ecological niches explored by species of the phylum? Platyhelminthes have a more sophisticated nervous system than cnidarians, as they contain neural chords with ganglia (grouping of neurons) appear, a characteristic of the evolutionary process of increased nervous complexity. In platyhelminthes, the beginning of the cephalization process can be seen, with a concentration of neurons (nervous cells) in the anterior portion of the body and the appearance of photoreceptor cells in the ocelli. Due to the increased capacity of these animals to perceive and to interact with their environment, thanks to the increased complexity of their neural network, it is possible to find platyhelminthes in a variety of environments and ways of life, including the terrestrial, and with diverse ways of life, including parasitic and free-living species. 10. What is cephalization? How does lateral symmetry favor cephalization? Cephalization is the evolutionary tendency for concentration of nervous control in central structures in which neurons are grouped (including the brain and ganglia formations). Evolutionarily, the cephalization process begins with the appearance of ganglia (groups of neurons) in platyhelminthes and reaches peak in vertebrates, animals with a skull to protect a well-developed brain. Through lateral symmetry, the body can be divided into lateral portions: superior, inferior, anterior and posterior. These portions must be integrated and controlled in some manner and this need caused the appearance of ganglial complexity and of organisms with a head, a privileged extremity of the bilateral body where the nervous central command and important sensory organs are located. 11. Do platyhelminthes use sexual or asexual reproduction? Platyhelminthes may present sexual or asexual reproduction. 12. How can asexual reproduction in planaria be described? Planaria can divide asexually by transverse bipartition due to the great regeneration capability of their tissues. When they attach to a substrate, they can induce a constriction in their middle region, separating their body into two parts, each of which produces a new specimen as tissue regenerates. 13. Are flatworms monoecious or dioecious? There are monoecious hermaphrodite flatworms, such as planaria and taenias, as well as dioecious (having male and female specimens) species, such as schistosomes. 14. Is it possible for a hermaphrodite species to carry out cross-fertilization? Hermaphrodite species of animals and plants carry out cross-fertilization mainly due to the maturation of female and male structures at different periods. Cross-fertilization occurs in planaria, which are hermaphrodites in which sexual fertilization takes place with male and female gametes from different specimens. These specimens bring their sexaul structures together and exchange gametes. 15. What is direct development? Do planaria have a larval stage? Sexual reproduction with direct development is the type of sexual reproduction in which there is no larval stage of embryonic development. When a larval stage exists, it is called indirect development. There is no larval stage in the sexual reproduction of planaria. 16. Into which classes are platyhelminthes divided? How can these classes be described and what are some representative species in each of them? Platyhelminthes are divided into three classes: turbellarians (or Turbellaria), trematodes (or Trematoda) and cestodes (or Cestoda). Turbellarians are free-living platyhelminthes and their main representative is planaria (Dugesia tigrina). Trematodes are parasites, which live inside a host,. The schistosome (Schistosoma mansoni) that causes schistosomiasis is an example of one. Cestodes are also parasites. They have no digestive tract and their cells are nourished through the absorption of nutrients from their host. Their most well-known representative species are beef and pork taenia (Taenia saginata and Taenia solium), which are human parasites. 17. What are the main human diseases caused by platyhelminthes? The main human diseases caused by platyhelminthes are schistosomiasis, tapeworm disease (cestodiasis) and cysticercosis. 18. The main features of platyhelminthes. How can platyhelminthes be described according to examples of representative species, basic morphology, type of symmetry, germ layers and coelom, digestive system, respiratory system, circulatory system, excretory system, nervous system and types of reproduction? Examples of representative species: planaria, schistosomes, taenia. 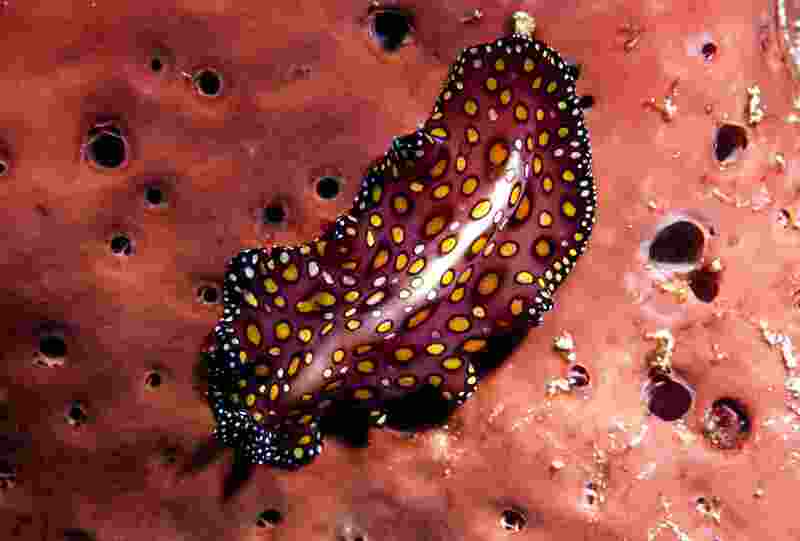 Basic morphology: flat worm. Type of symmetry: bilateral. Germ layers and coelom: triploblastic, acoelomates. Digestive system: incomplete. Respiratory system: nonexistent, respiration by diffusion. Circulatory system: nonexistent. Excretory system: protonephridia with flame cells. Nervous system: ganglial, beginning of cephalization. Types of reproduction: asexual and sexual. Study the next subject: go to Roundworms.